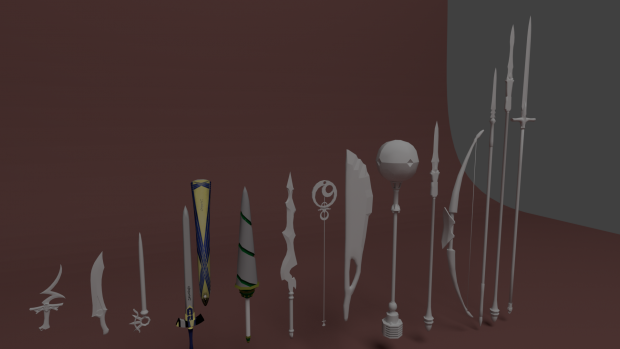 A lot of these are UV'd and roughly textured, but not in Blender so don't mind the textures being wonky or non-existent. Sort of a first-pass so that the servants in game have something to differentiate themselves with. I'm not super happy with a few of these and they'll be redone, but it's nice to have a placeholder in the meantime.